Senator Patrick Brazeau is in critical but stable condition in hospital after he was found seriously injured in his home last night, according to a statement from a hospital in Gatineau, Que. Senator Patrick Brazeau is recovering in hospital following surgery after he was found seriously injured in his home last night, according to officials at a hospital in Gatineau, Que. Police and paramedics were called to Brazeau's home in Mayo, Que., northeast of Ottawa, just after 10 p.m. ET on Monday, sources told CBC News. He was taken to hospital in Buckingham, Que., and was later transferred to a hospital in Gatineau, Que. There is no criminal investigation, according to Quebec provincial police. The Hull hospital released a statement late Tuesday morning confirming Brazeau arrived at 1 a.m. ET and underwent successful surgery. He is in critical but stable condition, but his injuries are not life threatening, the statement added. Brazeau is currently on a leave of absence from the Senate with pay, though his salary is being clawed back to repay nearly $50,000 in disallowed housing expense claims. He faces a criminal trial for fraud and breach of trust arising from his Senate expenses. The trial is scheduled to start in March. Brazeau was kicked out of the Tory caucus in February 2013 after he was arrested and charged with assault and sexual assault related to an incident at a Gatineau residence that same month. He was suspended from the upper chamber in November 2013. 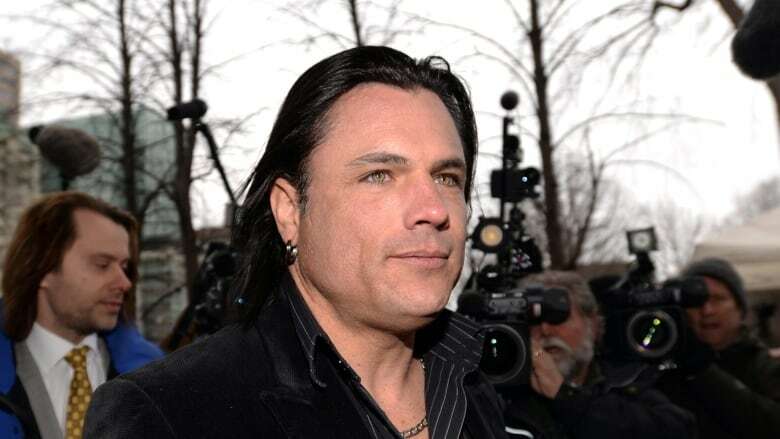 In April 2014, Brazeau was charged with assault, possession of cocaine, uttering threats and breaching bail conditions following an altercation involving a man and a woman at a home in Gatineau. In October 2015, Brazeau was granted an absolute discharge after pleading guilty to the assault and cocaine charges, avoiding both jail time and a criminal record. He had earlier pleaded guilty to the reduced charges of assault and possession of cocaine after the more serious charge of sexual assault was dropped due to a lack of evidence. Brazeau's suspension from the Senate without pay was lifted when Parliament was dissolved for the 2015 federal election.